Honey Jar — MumbleBee Inc MumbleBee Inc.
Where Giveaways will Be Held. This is great for the beginner gardener or the pro’s the young and the old. Yay! It’s a Giveaway! 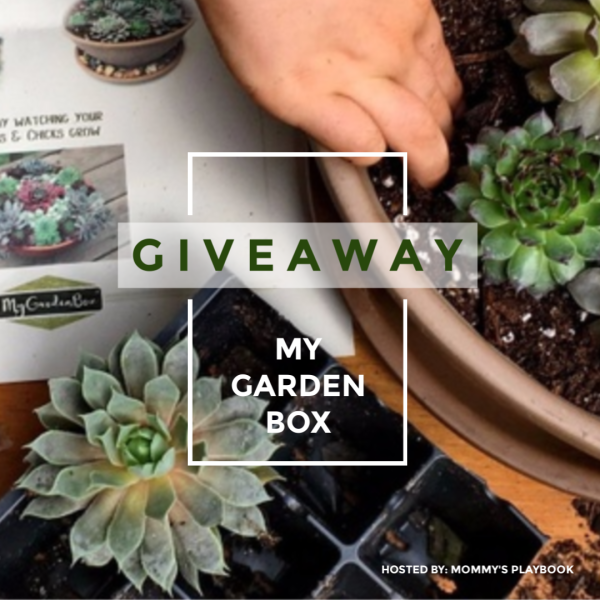 One (1) lucky reader will receive a one month subscription to My Garden Box! My Garden box is a monthly subscription service for gardening enthusiast created by 4th generation nursery growers. They package their love for plants into every box. Each My Garden Box is designed as if the creators were receiving it too. My Garden Box makes a wonderful gift for a loved one or for yourself! They offer month-to-month and prepaid plans for up to one year. What to expect from My Garden Box. Inside of your My Garden Box you will find LIVE PLANTS, cool containers, growth media and instructions, and unique accents. Even if you don’t have a green thumb (yet), when you receive seasonally appropriate components properly portioned, simple garden care tips, and the visual illustrations of the techniques you will need to complete the project, My Garden Box will make it easy for you to experience growing success! It’s just the right amount of DIY for any gardening enthusiast. This giveaway is open residents 18 years and older that reside within the United States. The giveaway ends on 5/11/2019 at 11:59 pm EST. Remembered when all we did as a child was be outside? Now days it is hard to get our kids out to play when they have any type of device. Even though they maybe time limited our kids are just not excited about the outdoors anymore. With THiNK OUTSiDE Boxes are a monthly subscription service focused on outdoor exploration AND a year-long curriculum. The service provides quality, useful gear along with very thoughtful activities and educational information that encourage kids to get outside and play. It is not just about the gear or the information, but using both in tandem to become more skilled in outdoor life, while encouraging family involvement. The monthly themed boxes promote character building while instilling confidence, independence, and empathy. FACT: Today’s children are spending an average of 4-7 MINUTES of unstructured play outside, and 7.5 HOURS in front of devices! What’s Inside THiNK OUTSiDE Boxes? 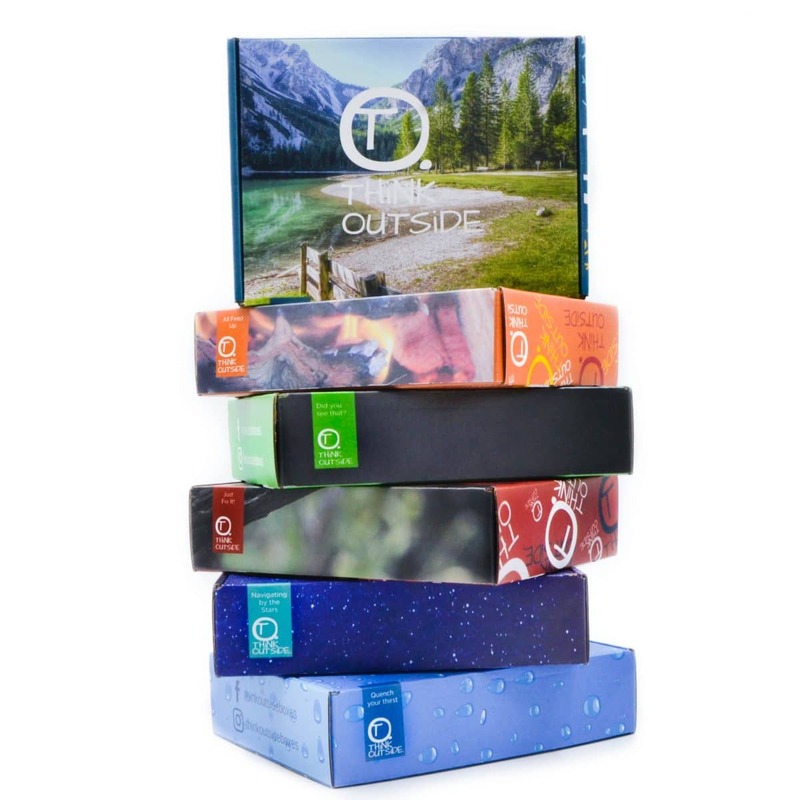 Throughout the year, each themed monthly box includes outdoor gear, water-resistant resource cards, a 20+ page educational & activity booklet, as well as an outdoor challenge to do as a family. Your first box comes with a lightweight packable daypack. You can choose your color orange, blue, or magenta! THiNK OUTSiDE boxes foster a learning experience that encourages critical and strategic thinking, creativity, and outdoor life skills. The hands-on lessons are everything a homeschooling family could hope for when teaching/learning STEM. They even offer curriculum resources to accompany their boxes too! Visit THiNK OUTSiDE to preview the seasonally appropriate lesson plans. ENTER TO WIN a Quarterly Subscription to THiNK OUTSiDE! The giveaway is open residents 18 years and older that reside within the United States. The giveaway ends 5/10/2019 at 11:59 pm EST. Rules: Use the Giveaway Tools form to enter daily. Giveaway ends 05/16/2019 and is open worldwide. Entrants must be 18 years old to enter. Winner will be notified via email. What could you do with some extra cash? Pay a bill, go out for dinner or just save. Either way it’s like having a bonus, do what you want with it.